The web application allows you to easily manage the role playing campaign Play by Forum & Play by EMail, especially those ones using the famous Dungeon & Dragons, PathFinder and d20 game system. 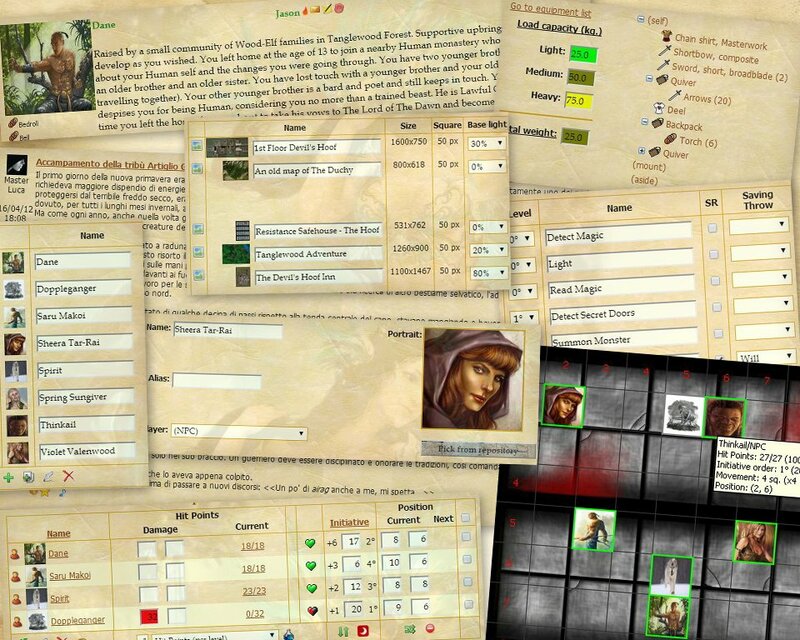 These few screen shots show you how post from the player, maps, background music and all the tools behind the DM screen are collected in a set of very complete pages, granting all the players the opportunity too keep all the informations together. The user registration and the the use of all of the web site features are definitively free, my objective is to create the largest playing community to grant the creation of game campaigns with player through the world wide. In order to save time or not lose any post, any player can now ask the master to wait for his reply or continue, with just a click.